Hello Clique Kits Fans!! It is time for the Clique Kits November challenge but before we get into the details of the challenge we need to give a big congrats to the winner of our October challenge! Congrats to Lee Ann-Thornton! 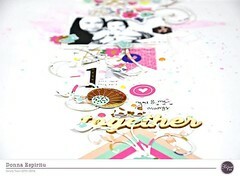 Lee-Ann’s Layout sure does pack a punch and I love the collection she used from Fancy Pants Designs! The beautiful mint corrugated paper is also from Fancy Pants Designs and I think that is next on my want list! Thank you so much for linking up with us in October Lee-Ann please email Erica at cliquekits@yahoo.com to claim your fabulous prize sponsored by Fancy Pants Designs! As always our challenge is Anything Goes with a twist and that twist is to add product from our sponsor. This month our sponsor is 17turtles and they are giving our winner a $20.00 gift certificate to their shop! Here is a little bio about our November Sponsor! 17turtles offers a wide range of digital cut files that are perfect for paper crafting, scrapbooking and other craft projects such as cards, home decor, wall art, and more. When you purchase a digital download from 17turtles you will receive a zipped file that includes 1 SVG, 1 PNG and 1 DXF file. These files are for use with a wide variety of electronic cutting machines that will open and cut digital files, including SVG and DXF files. If you know that your machine will cut SVG or DXF files, then you should be able to use my files. You can use my designs with both the Silhouette Studio Software and the Silhouette Studio Designer Edition Software. You do not have to use the Trace feature because the cut lines are already there for you. For more information about my cut files, please visit my shop policy (https://www.etsy.com/shop/17turtles/policy). I’ve had a love affair with creating and designing for years. When I first discovered scrapbooking over 15 years ago, it gave me a way to combine creating and designing to form a creative outlet that brings me so much joy and happiness. This past year, I began creating my own digital cut files to use with my Silhouette Cameo on my scrapbook pages and other craft projects. I have now opened 17turtles as a way to share my digital design creations with others. For more ideas, inspiration and tutorials about using my cut files, please visit my blog – www.17turtles.com. We are so thankful to have 17turtles sponsor our November challenge and we are also excited about the custom cut files she has created to go along with our November kit Homecoming! These custom cut files can be purchased here in the 17turtles shop and you can receive 25% off by using the promo code CK17TURTLES25! Make sure to check out posts from last week for inspiration using these beautiful cut files by our Varsity Team! Please make sure to visit the 17turtles shop, their blog and find them on Facebook here! Thanks so much to everyone who linked up last month and we hope to see you again this month! Categories: Challenges, Prom Committee | Tags: 17turtles, Challenge, cut files, freckled fawn, Layout, Lemon Owl, November Challenge, scrapbooking | Permalink. Woo hoo! Thanks so much for the October Challenge prize! Wow, love the inspiration from the Varsity Team. Way to go!! Congrats, Lee-Ann!! Enjoy your goodies!! Awesome layouts ladies!!! And congrats to Lee-Ann!!! Congrats Lee-Ann! Lovely work ladies!